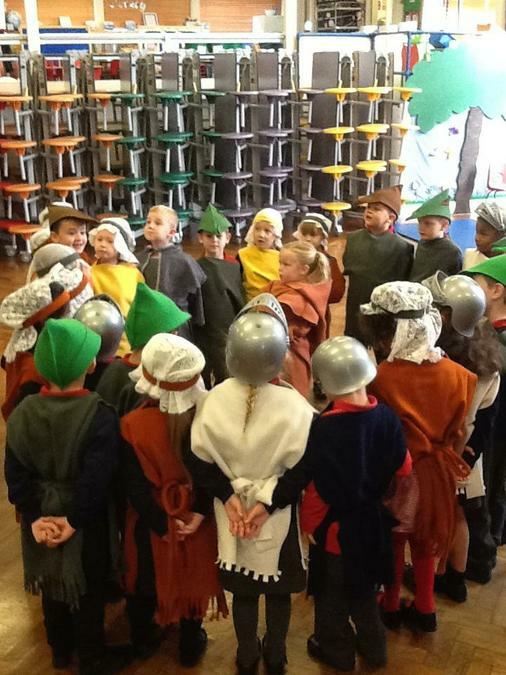 Class 3 is a team currently of 27 children working with myself the class teacher Miss Gossington and Miss Zullo the class teaching assistant. 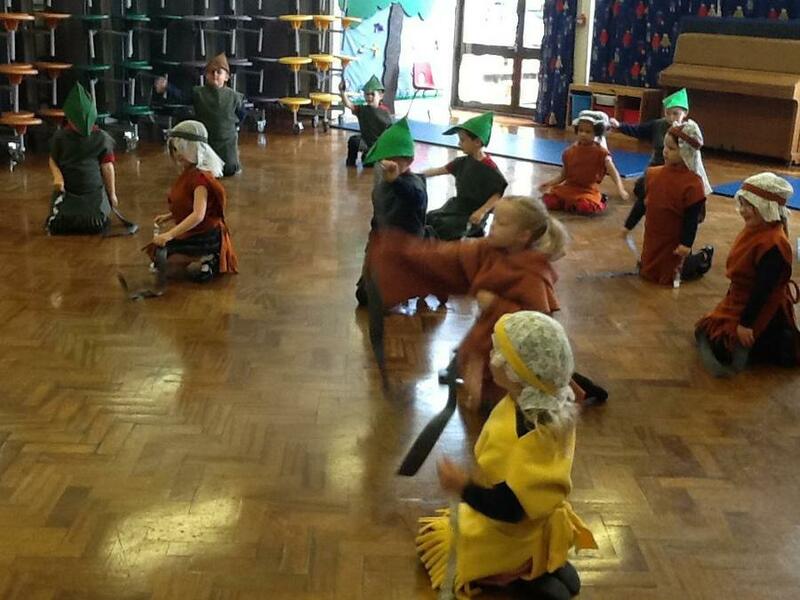 We also work very closely alongside class 4. 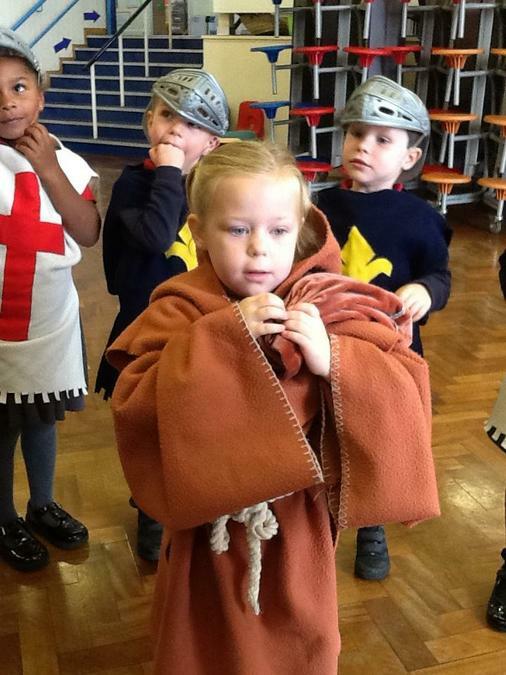 We have been really pleased with how well the children have settled into year 1 and they have made a great start to the year ahead. 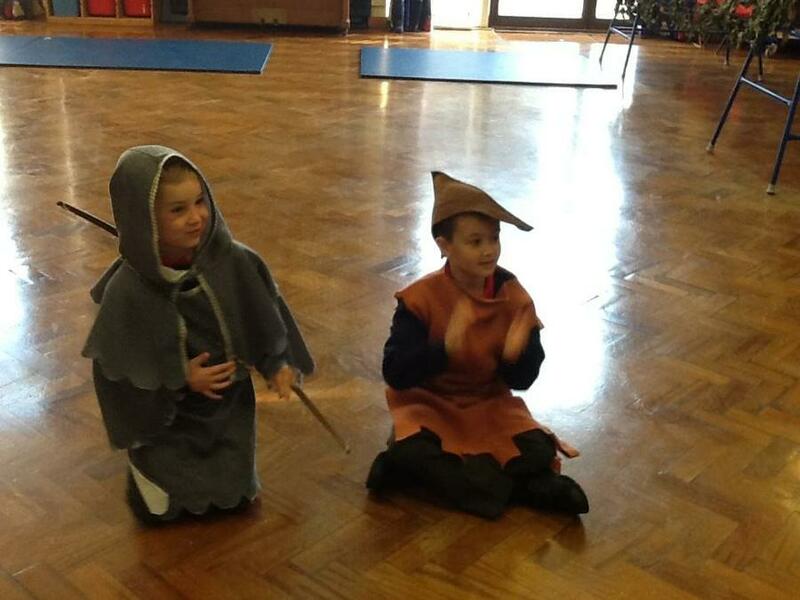 In the morning we learn about phonics to help us with our reading and writing. 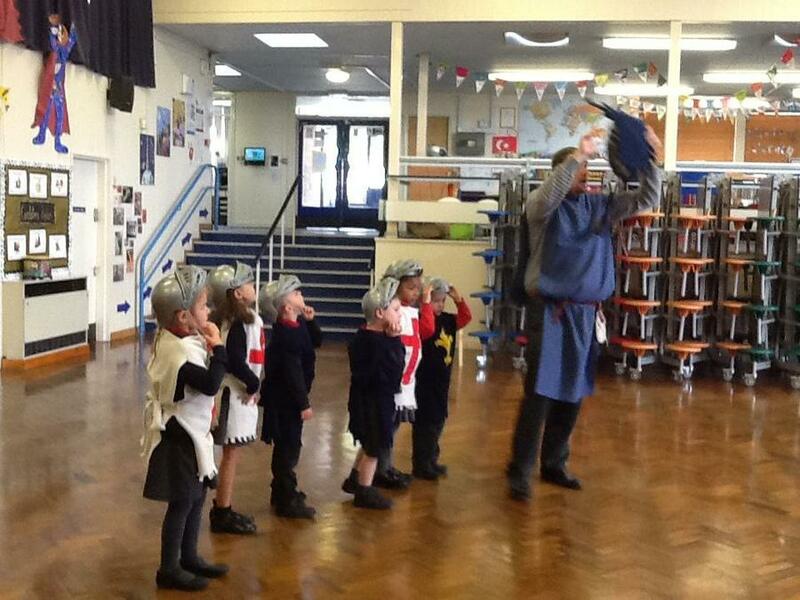 Then English and Maths. 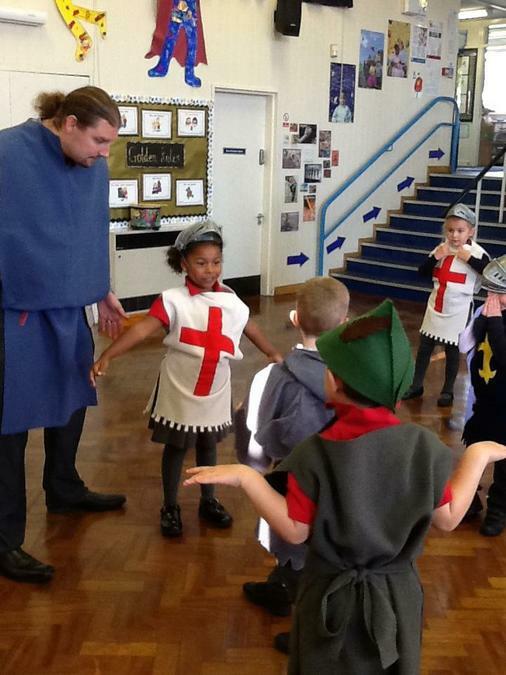 In the afternoon this is based around topics that we are studying for the term. 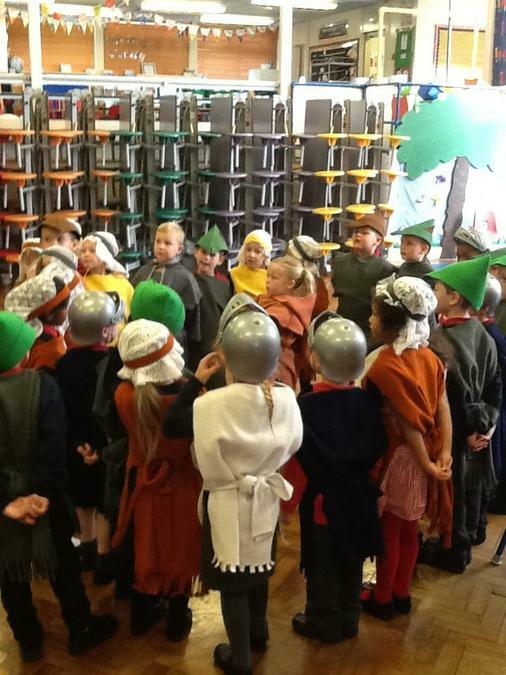 Please keep checking this page for updates and photos about what we are learning. 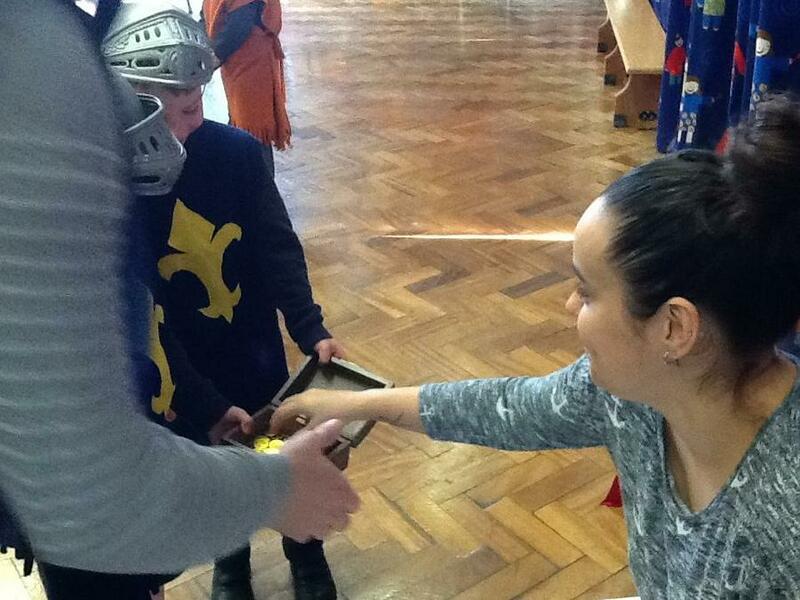 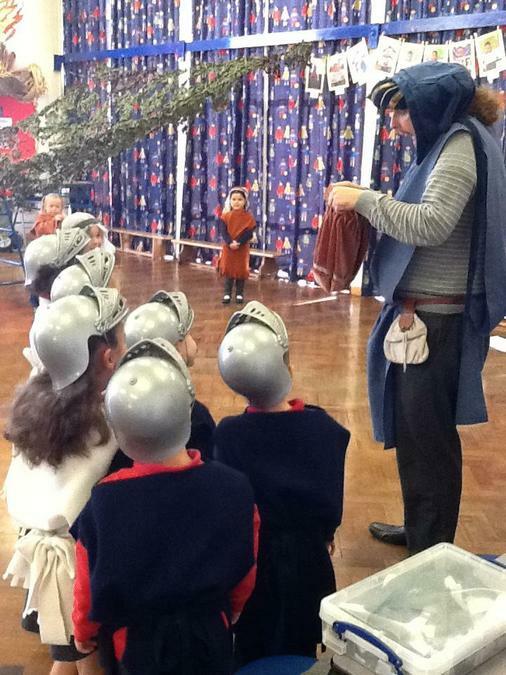 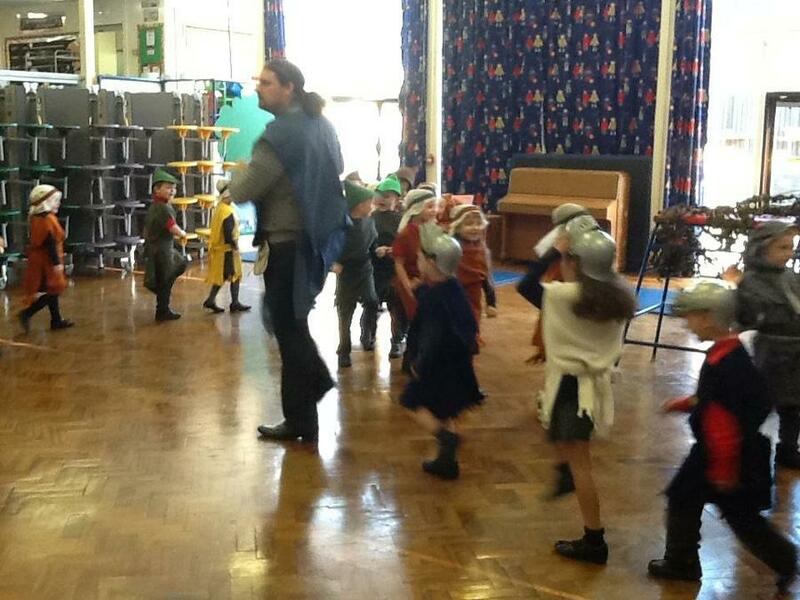 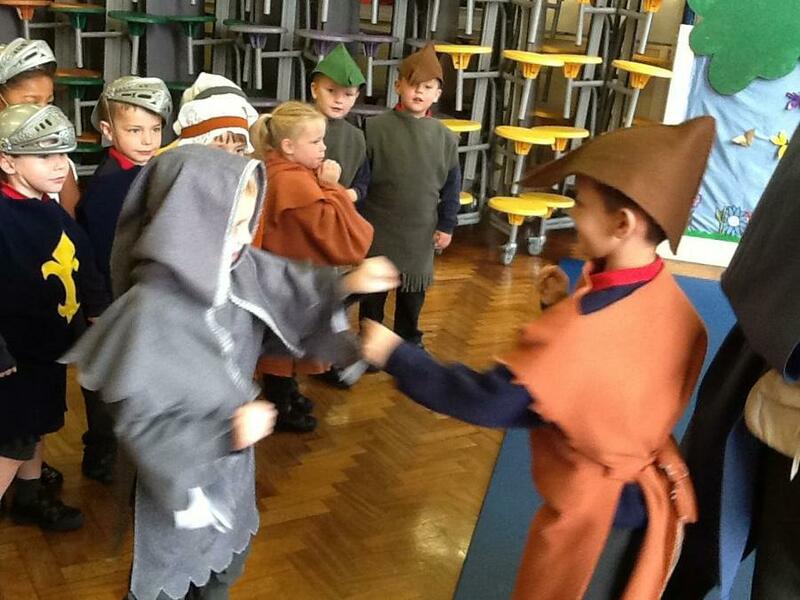 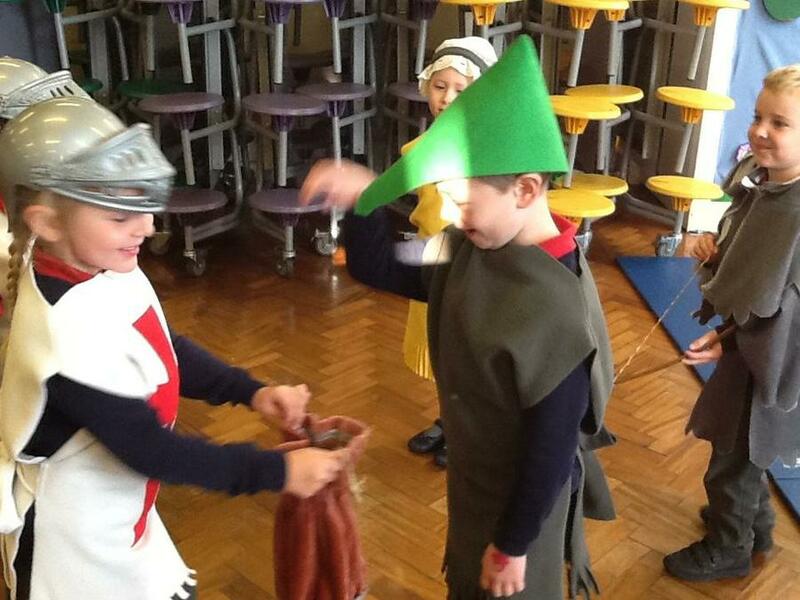 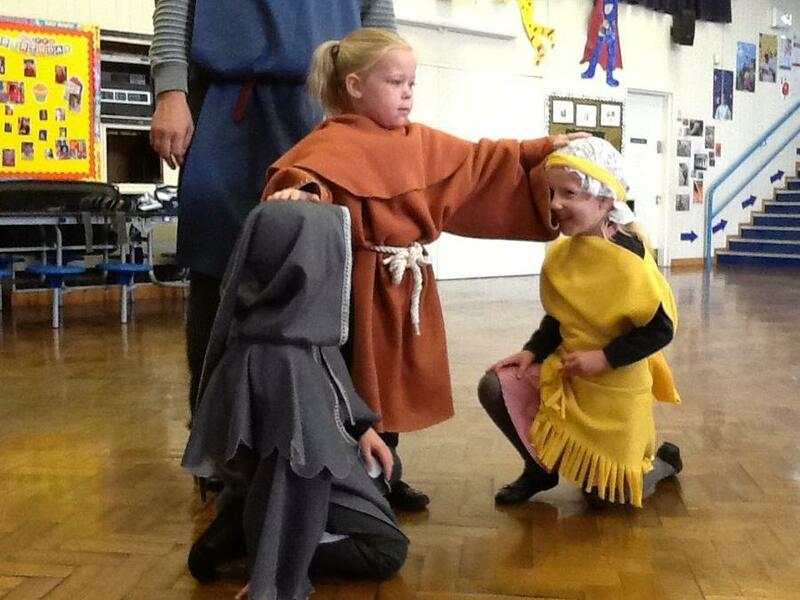 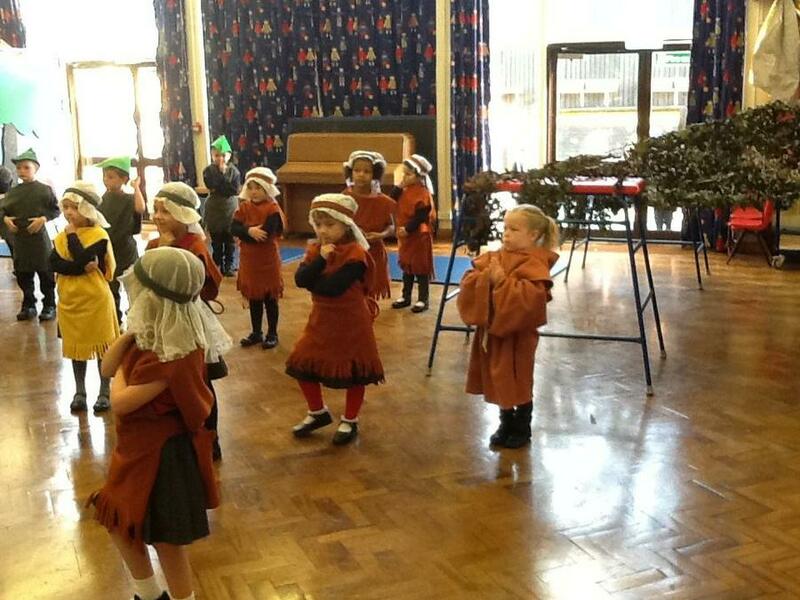 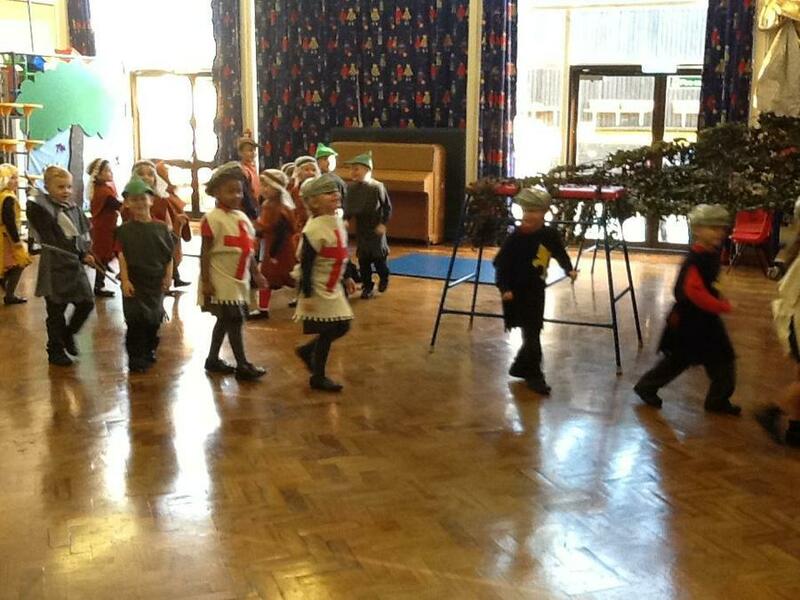 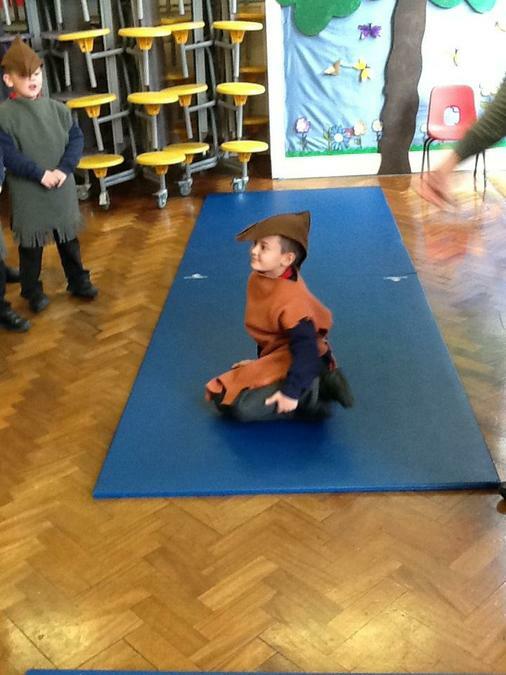 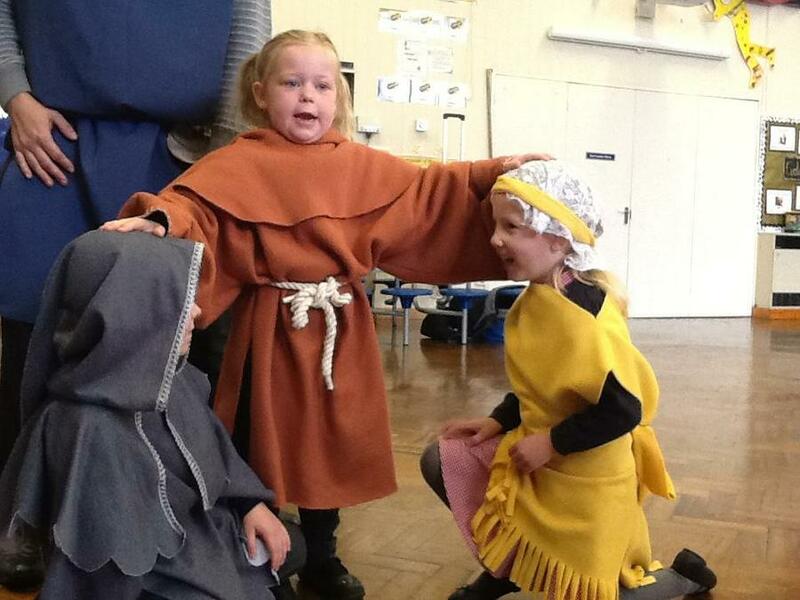 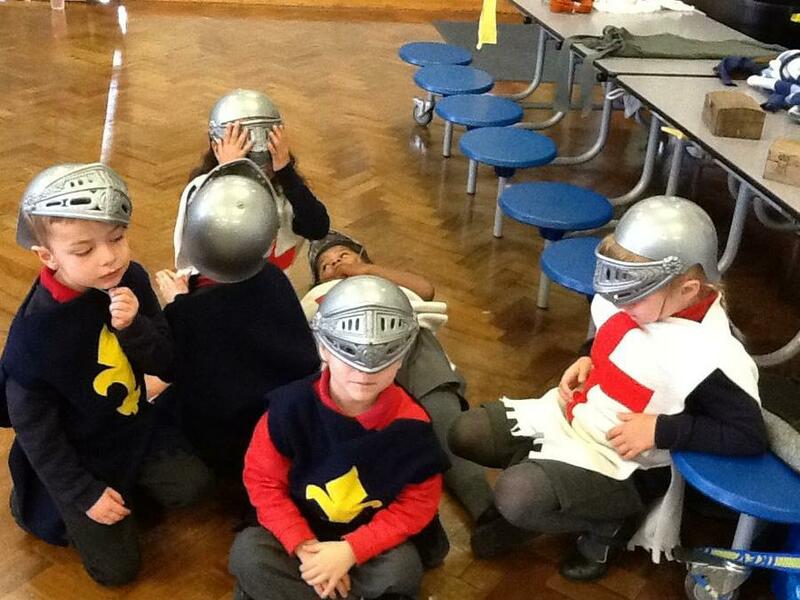 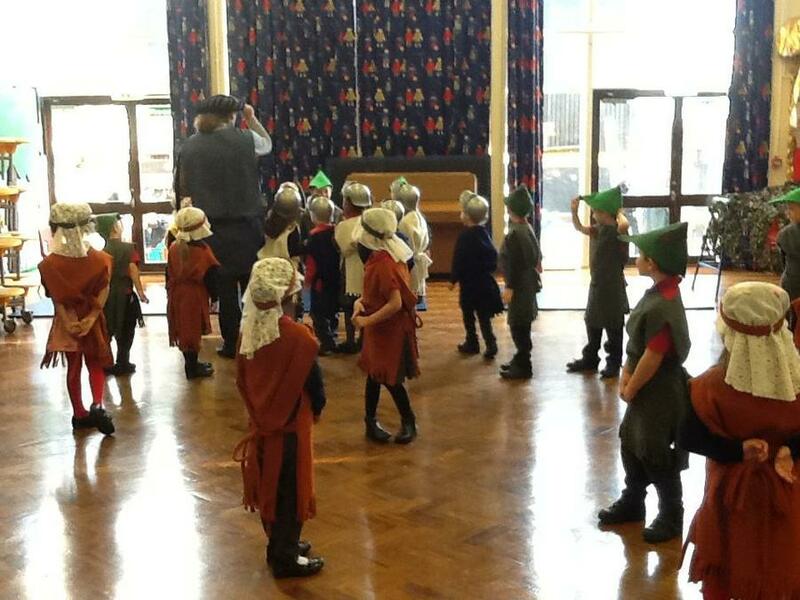 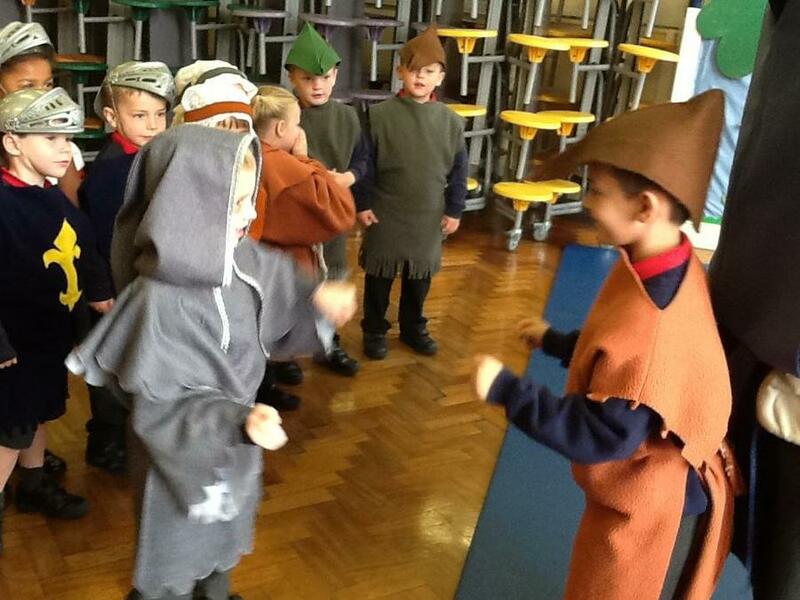 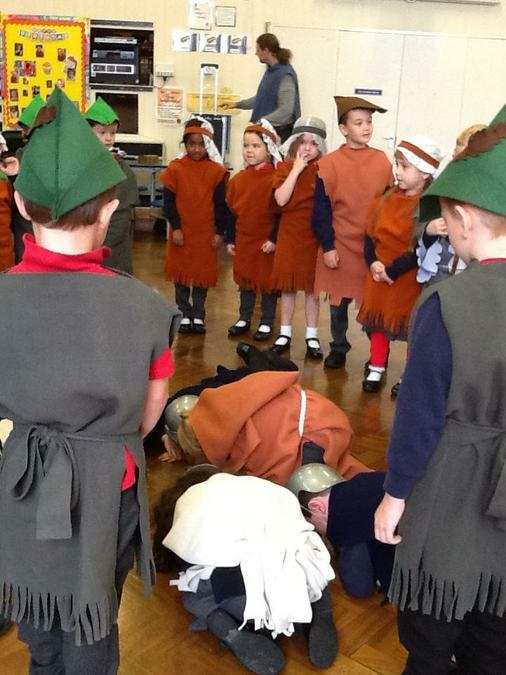 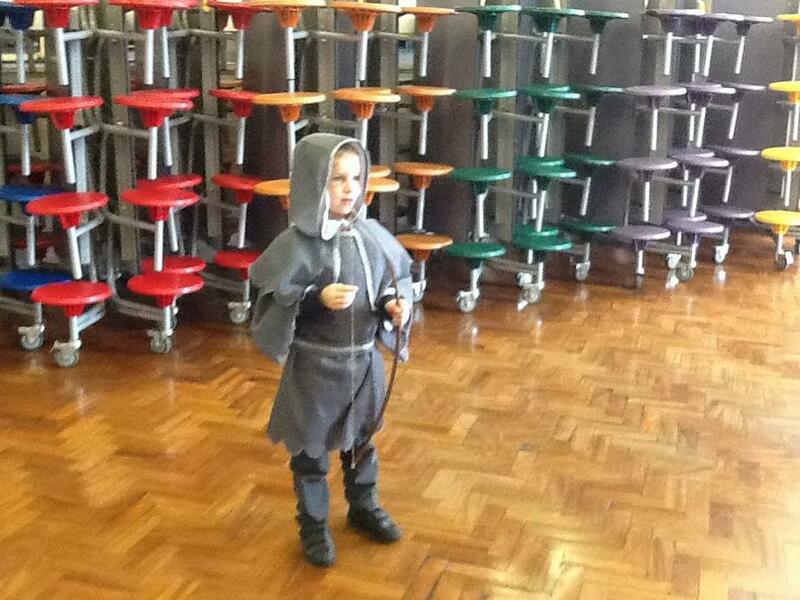 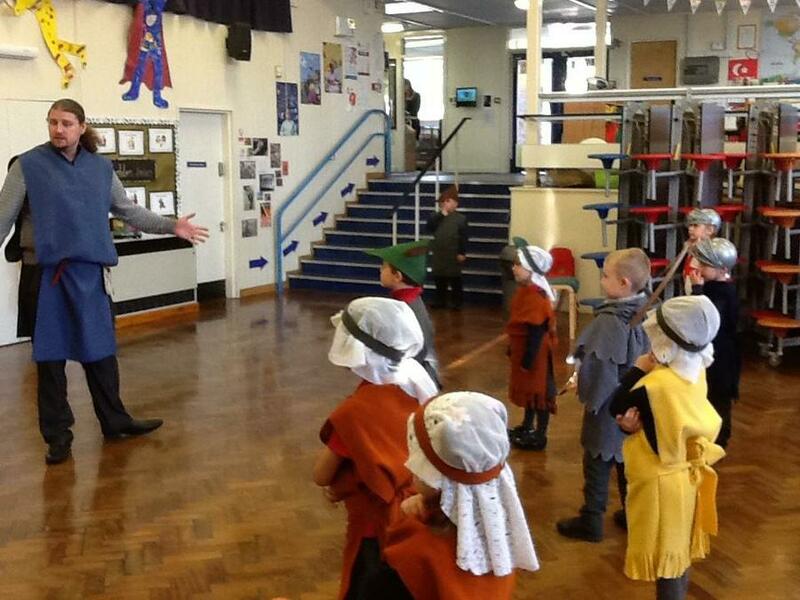 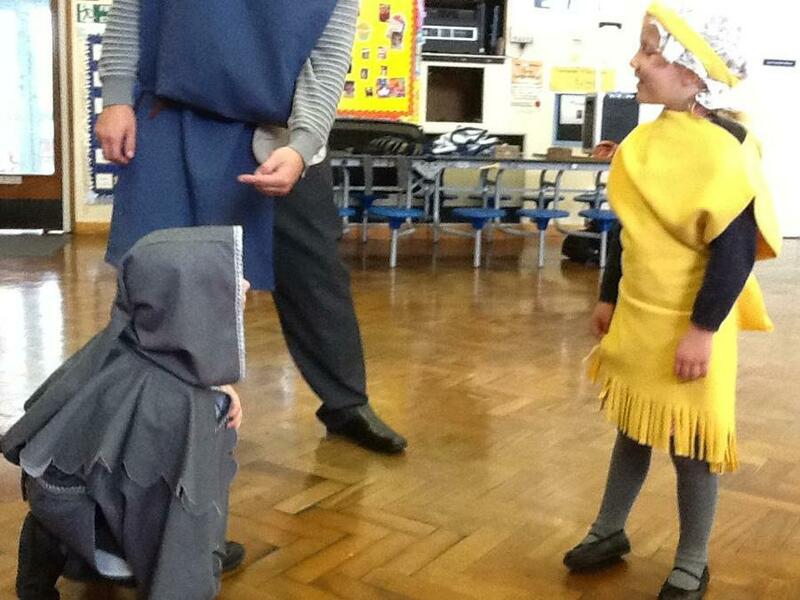 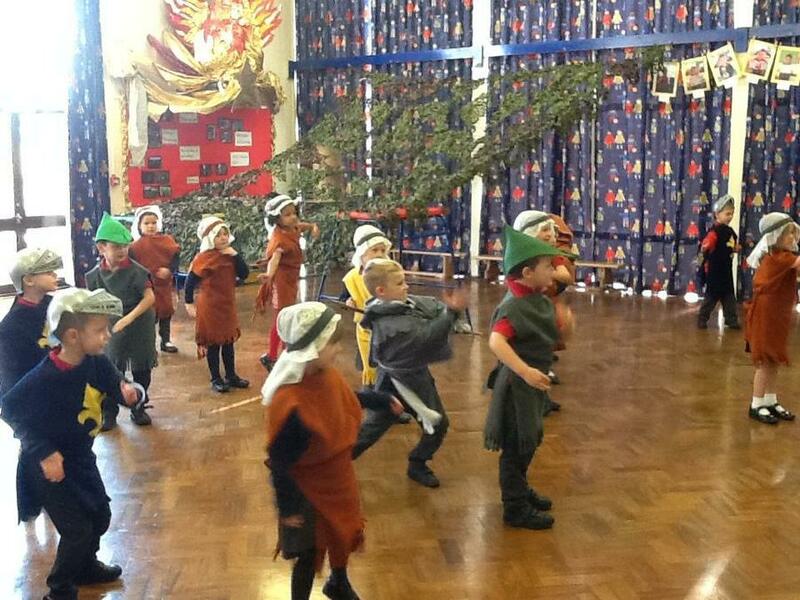 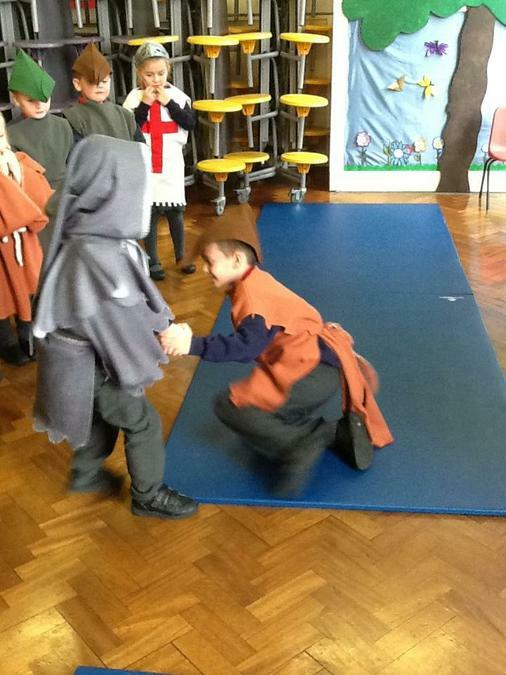 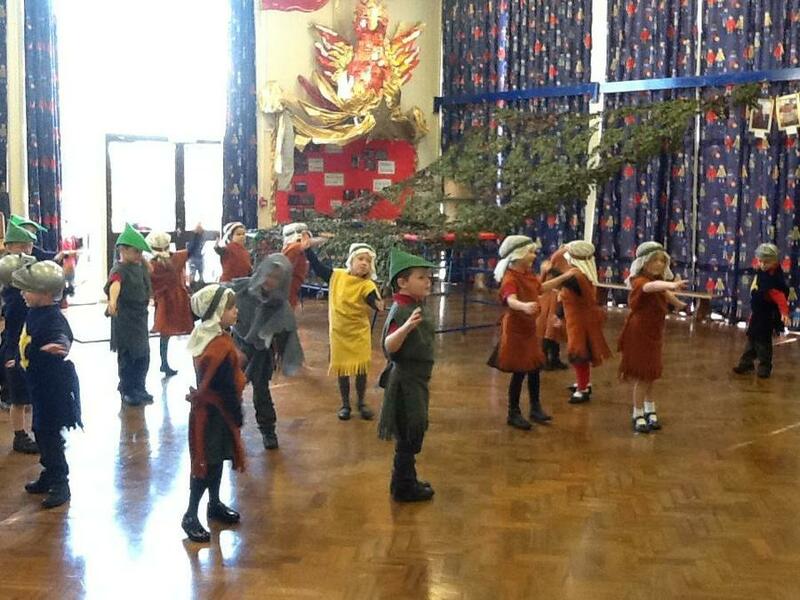 Today Part Take came to teach class 3 about the legend of Robin Hood. 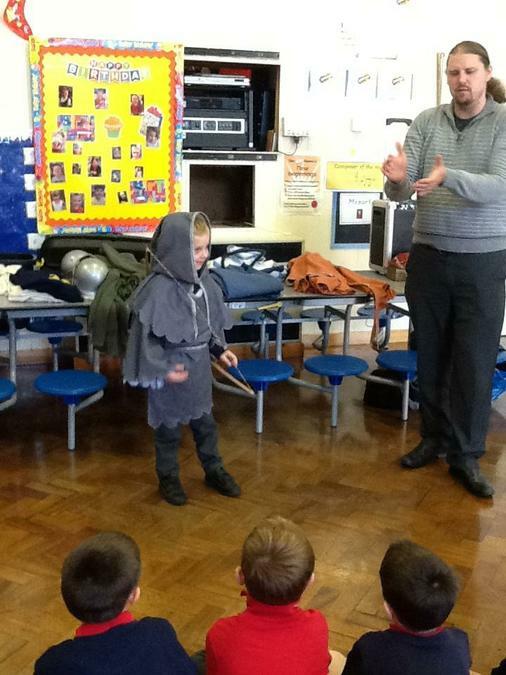 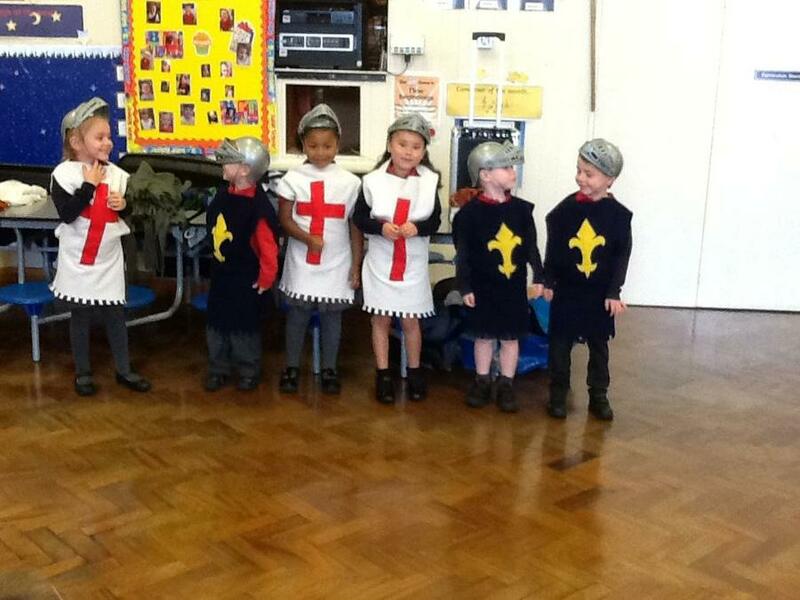 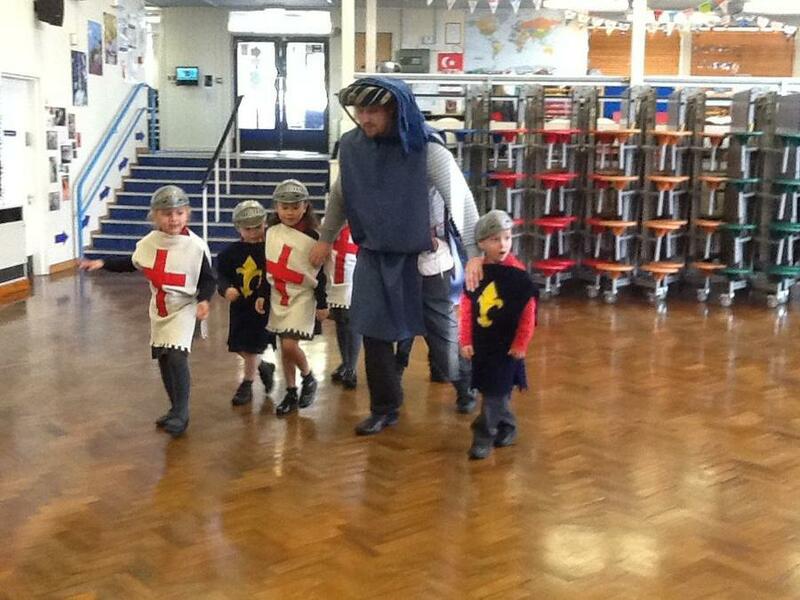 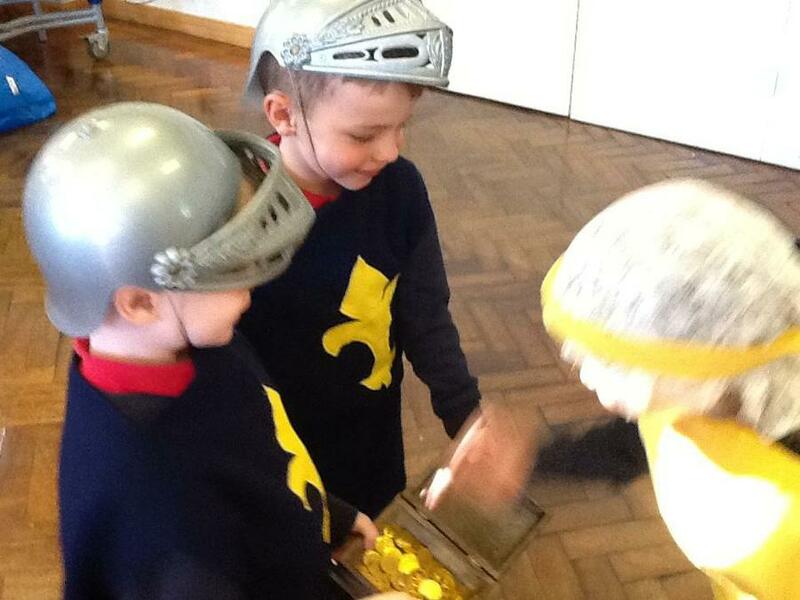 We really enjoyed dressing up and being in character as we walked through the story. 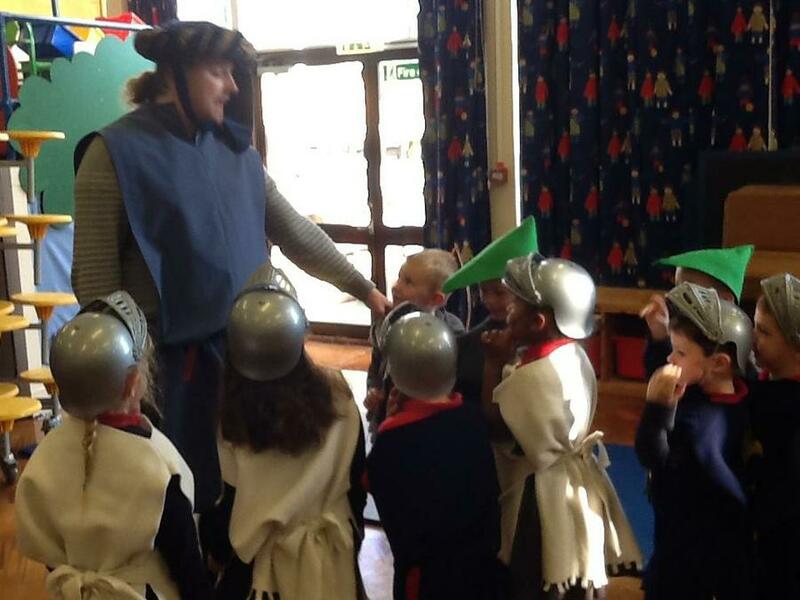 There were lots of highlights like the soldiers collecting taxes, meeting Little John and, of course, when Robin Hood and Maid Marion got married. 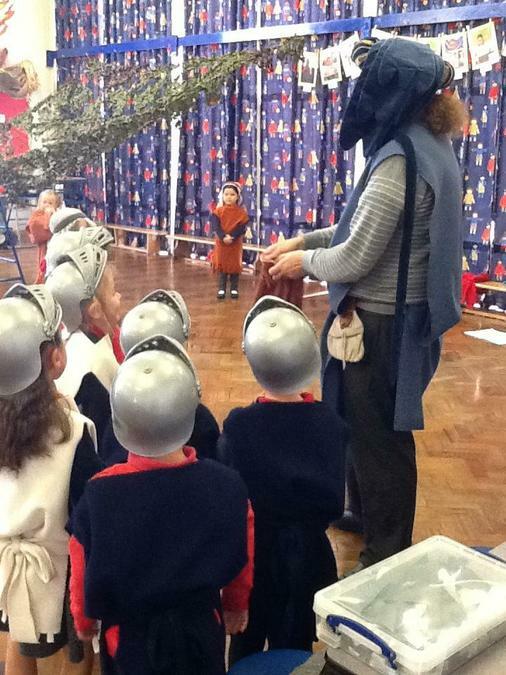 Here are some photos of our adventure. 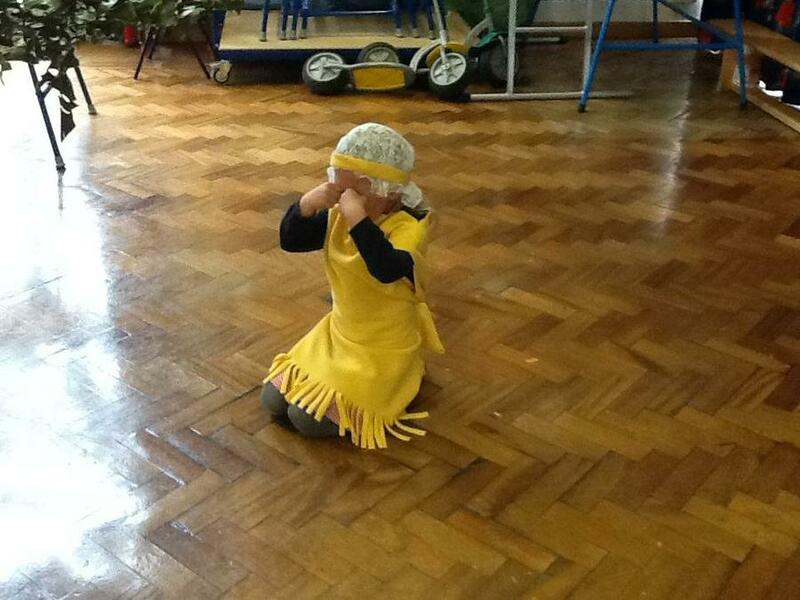 Investigating materials in class 3 today as part of our science topic. 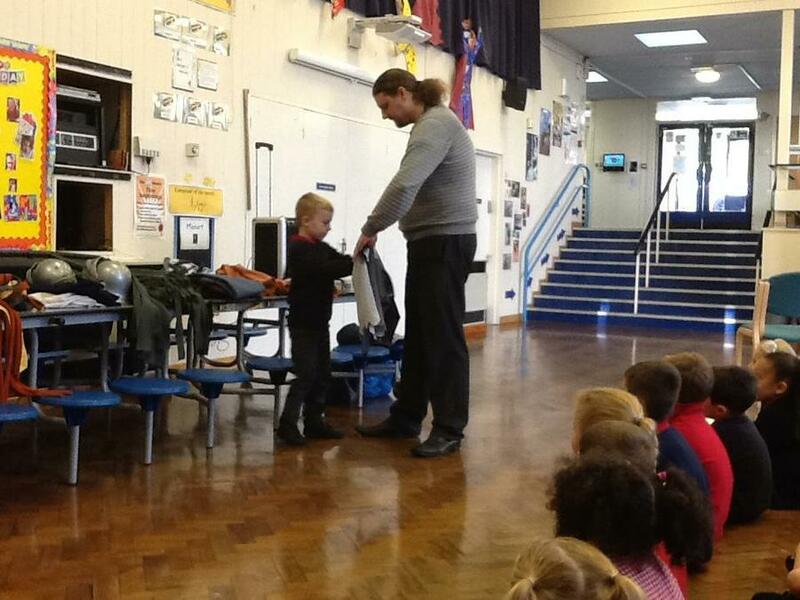 We were trying to find out which ones were waterproof and would make a good umbrella. 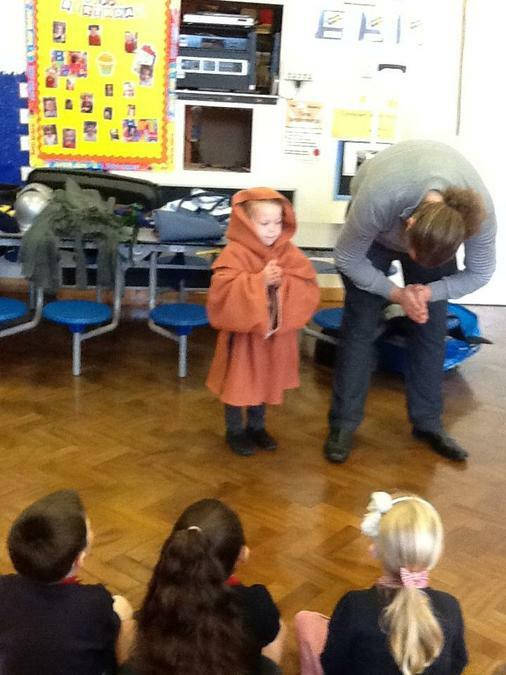 We first made a prediction and then carried out the investigation with some surprising results. 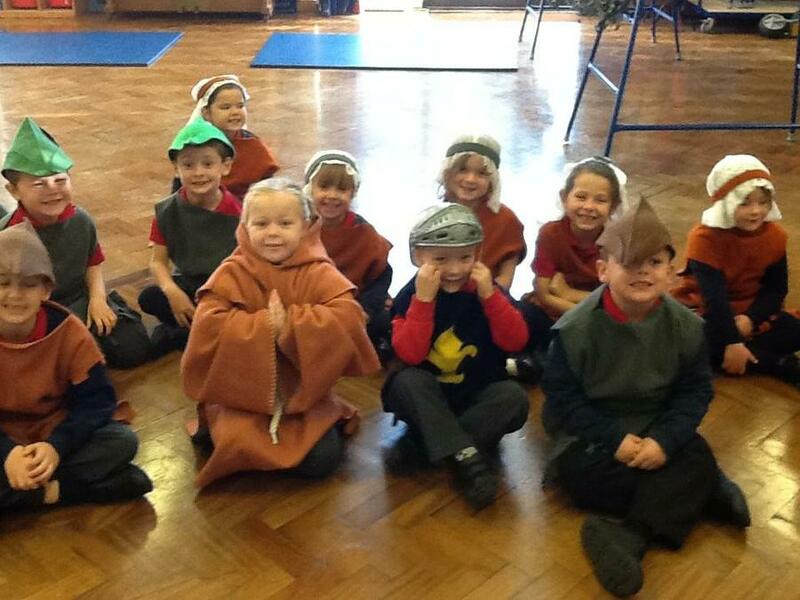 For culture week class 3 looked at Greece. 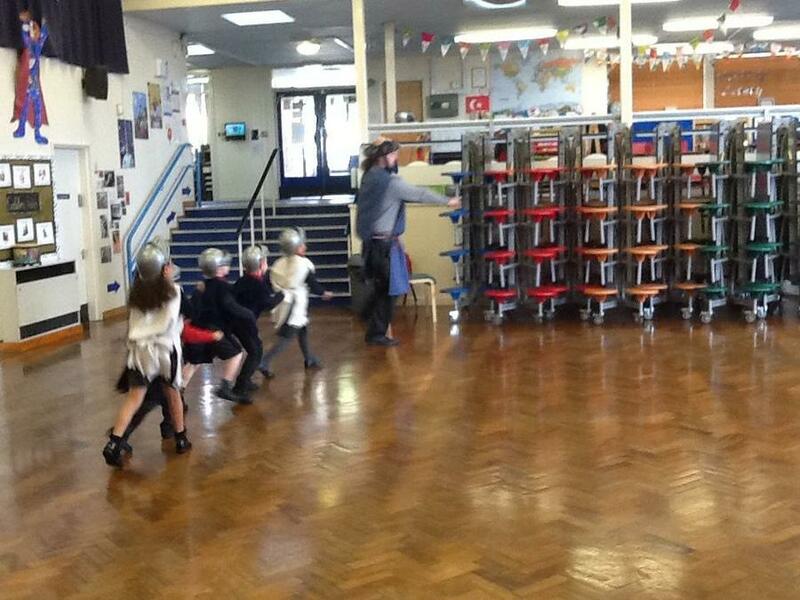 We designed our own Greek vases which are now on display in the classroom. 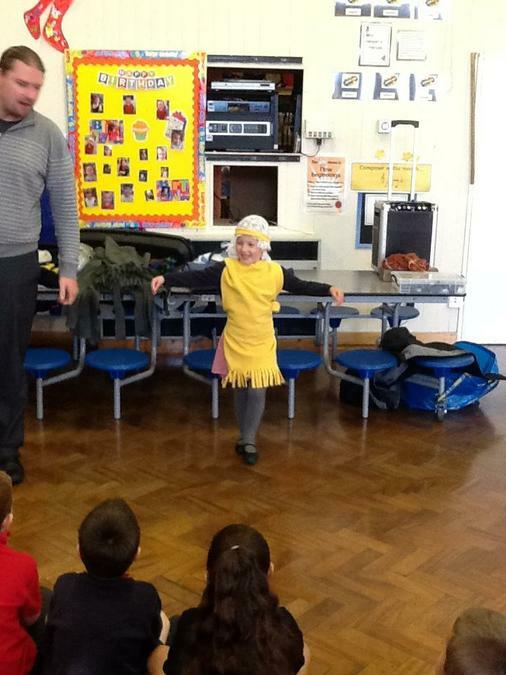 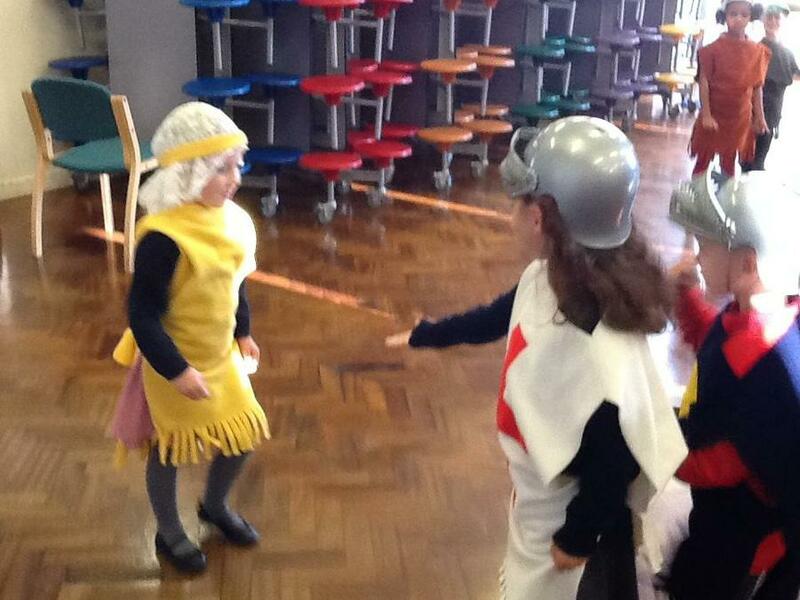 On Tuesday we tasted some different foods from Greece and in the afternoon we learnt a dance. 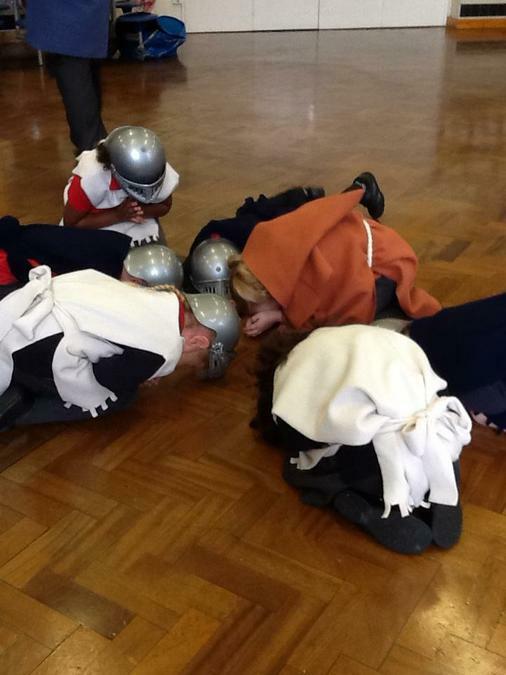 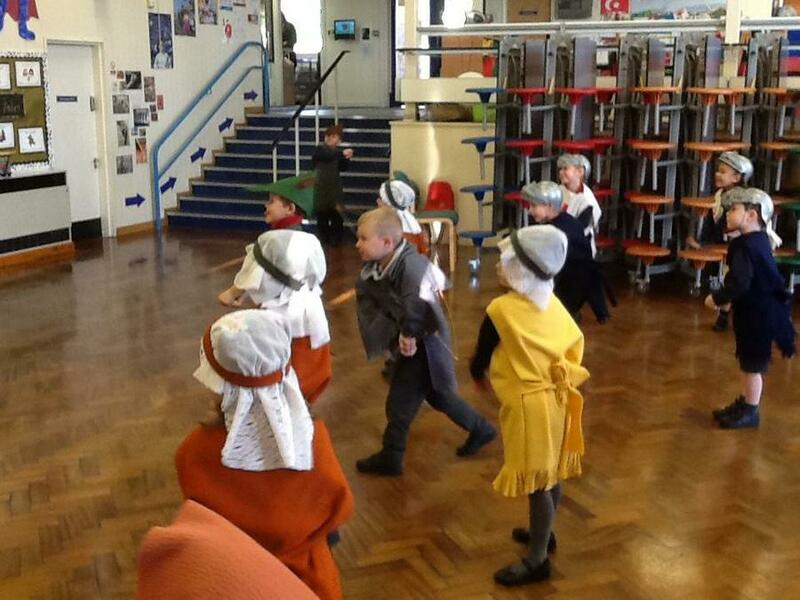 We learnt about how the Olympics started and tried out some of the traditional games in the hall. 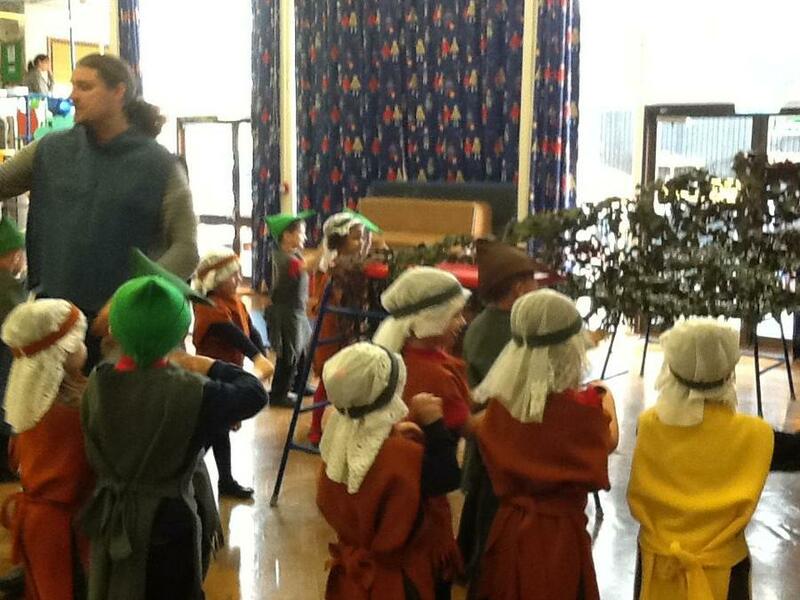 We all had a great week and learnt lots and lots. 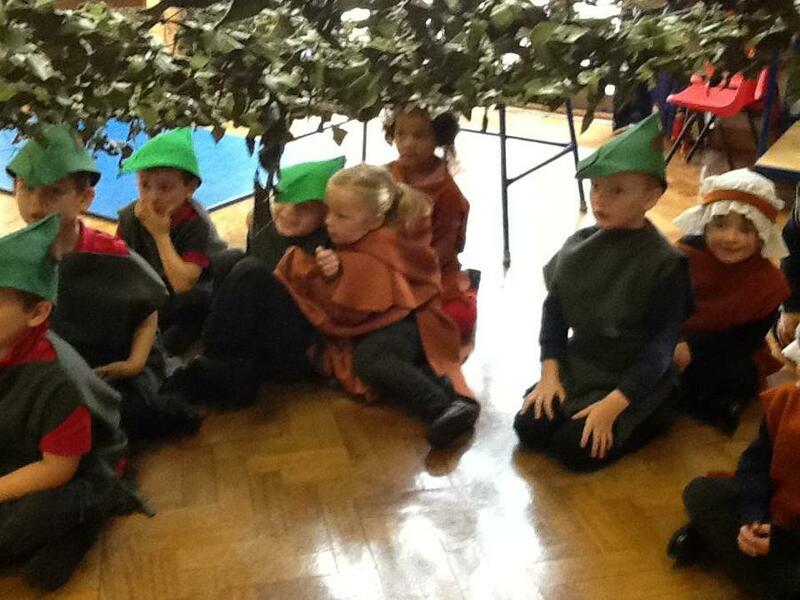 Art outside today sketching natural objects that Andy Goldworthy could use for his land art. 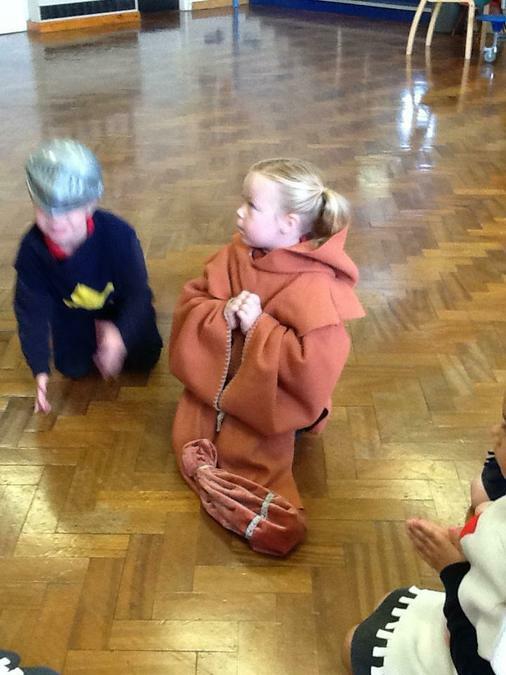 This week has been Book Week. 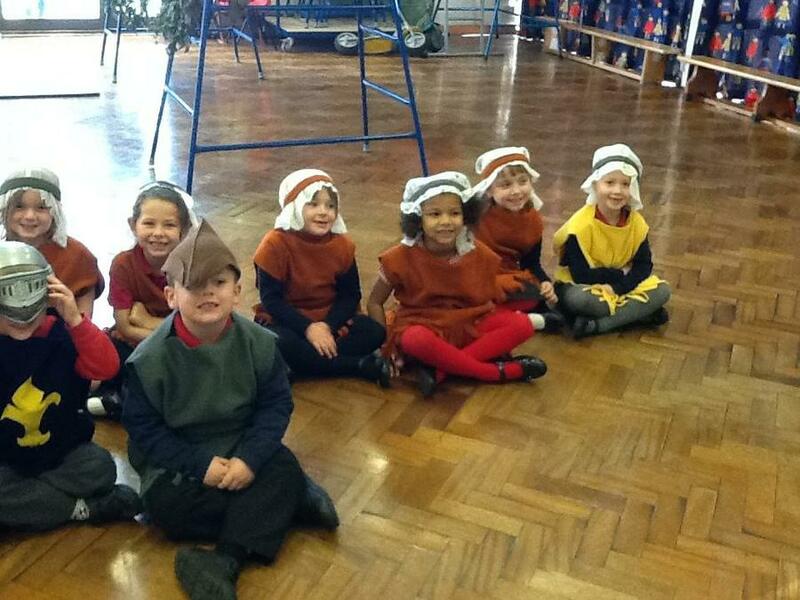 We have had a busy week with our reading picnic and parent helpers coming to read us a story. 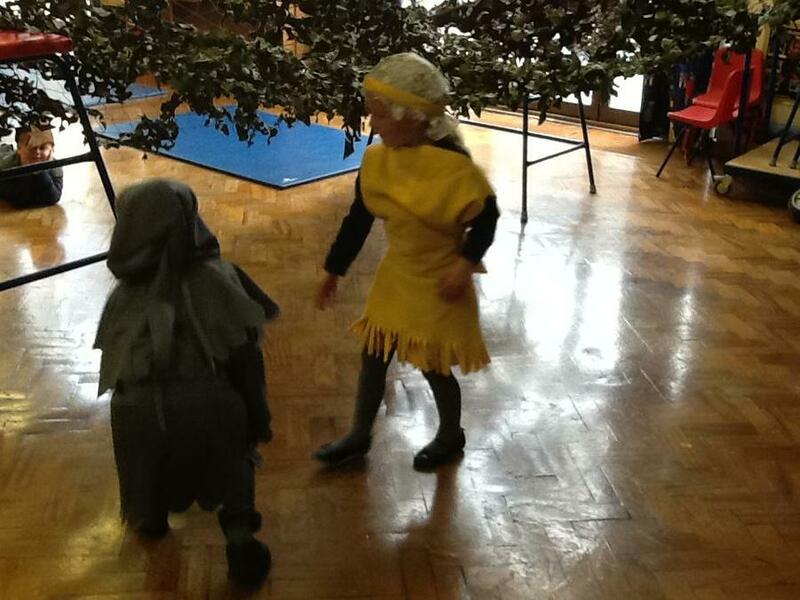 We retold the story of Jack and the Beanstalk to the school. 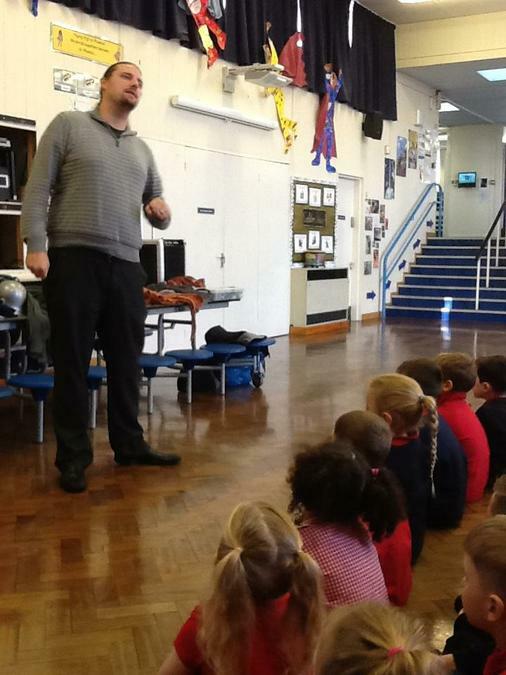 On Friday we had a visit from Book Man.